Has your check engine light come on? Or are you hearing rattling or other noises from your engine? It may be time to schedule Honda engine service at our Honda service center near Clovis, CA. At our California Honda service center, we can check engine diagnostics and make any necessary repairs. Routine maintenance is the key to longevity and avoiding costly repairs down the road, so don't put off having the engine in your Civic or CR-V looked at. The check engine light on your Honda dashboard illuminates when the computer identifies an issue. The Honda computer is collecting data from multiple sensors, and when it detects an anomaly, it will store a diagnostic trouble code and turn on the check engine light. When you're driving with the check engine light on, your vehicle could be emitting excessive emissions or there could be damaged parts under the hood. It's important that you contact the Clawson Honda of Fresno service center or bring in your vehicle for repairs when the check engine light turns on. At our Honda service center, our Certified Honda technicians can read the diagnostic trouble codes stored in the vehicle and figure out why the check engine light activated. Since different systems can trigger the light, our technicians will inspect every part of your vehicle to make sure everything is working as it should. Once we diagnose the issue, our techs can get to work on repairs. When the repair is complete we'll reset the trouble code and make sure everything is working well. Have Honda engine service questions or want to schedule an oil change, battery inspection or other service? 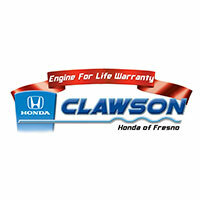 Contact Clawson Honda of Fresno and meet with a service technician! At Clawson Honda of Fresno our professional Certified Technicians will connect a diagnostic scan tool to read out the diagnostic trouble codes stored in the vehicle. They will check every system in the vehicle as the light can be illuminated from other things like the transmission or ABS system. There can be numerous codes stored in the computer for days, weeks or months so it's important to identify the code that is causing the light to illuminate. The computer can store additional data like when the code was set, how many times it was set, and the sensor reading at the time it was set. All this info is used to start the diagnostic process. Depending on why the code came on, technicians will test out the sensors or other items like the injectors, fuel pump, spark plugs or just about any other part on the engine. Once a failed part is identified our technicians replace the part, resets the trouble codes , and verify the issue has been resolved.